Sole survivor at this 'SWT' managedstation. Still providing useful directional information​ to passengers. Hampton Court Station NSE Platform Sign. PHOTO TAKEN: 17 JAN 2013. Located on Station Approach, just outside the station. 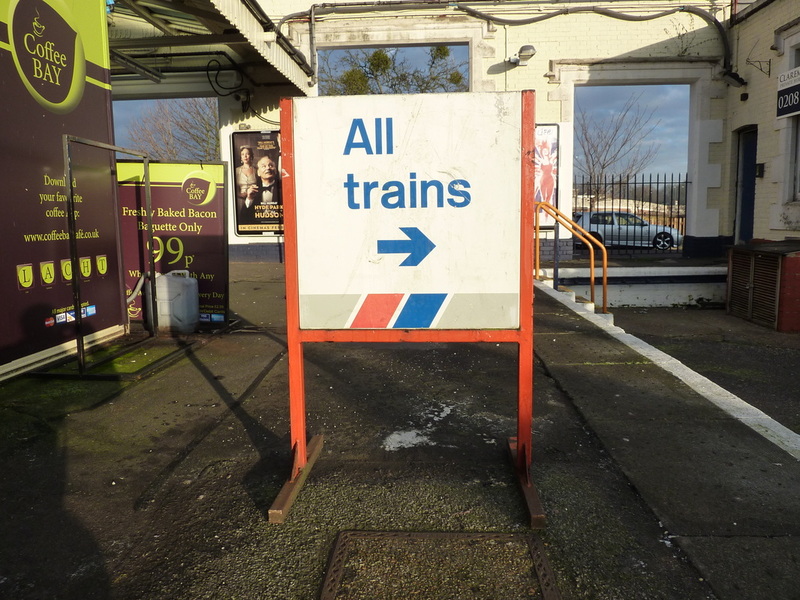 This sign still directs passengers to this listed Great Western Station. 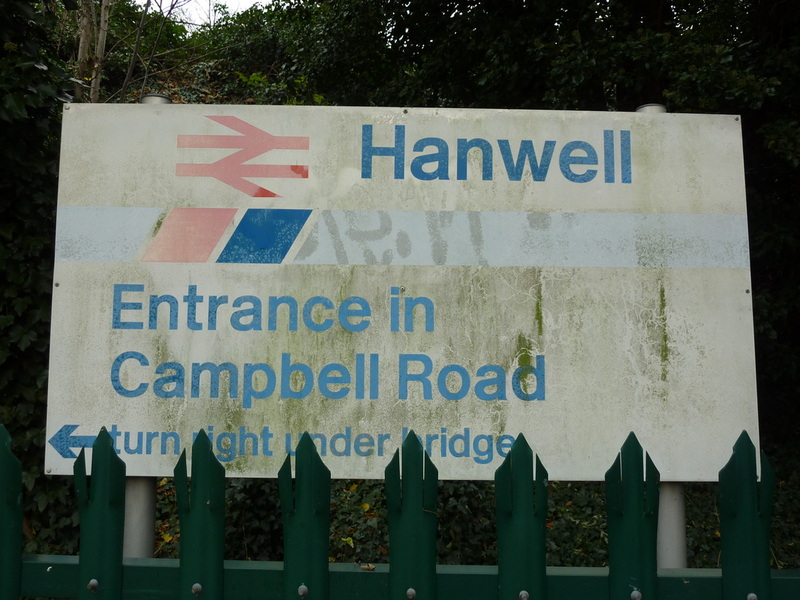 Hanwell NSE Station sign. PHOTO TAKEN: 07 DEC 2013. This Kent Link station has a history on the handrails that lead up to the platforms from the subway. 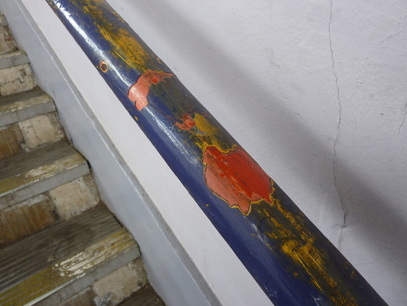 Paint layers seen are RED (NSE), YELLOW (CONNEX) & BLUE (SOUTH EASTERN). Herne Hill Station handrail. PHOTO TAKEN: 22 AUG 2014. 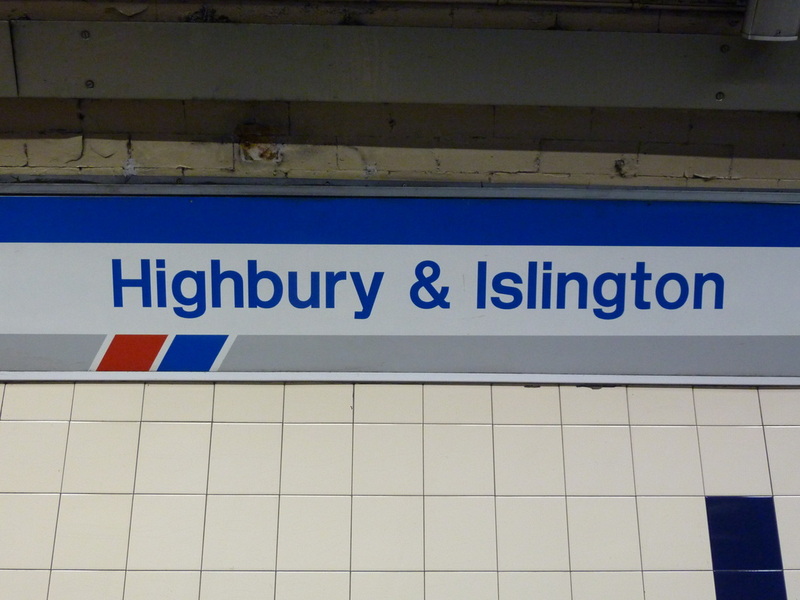 Network SouthEast signage still remains at this busy Great Northern Line station on platforms 4 & 6. Highbury & Islington Station Platform 6. PHOTO TAKEN: 17 JAN 2013. Highbury & Islington Station Platform 4. PHOTO TAKEN; 17 JAN 2013. 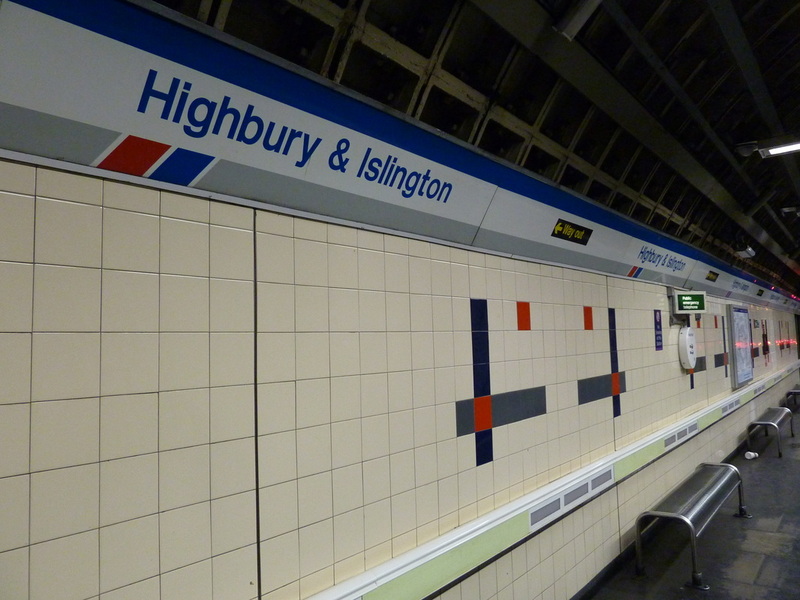 Highbury & Islington Station Platform 4. PHOTO TAKEN: 17 JAN 2013. 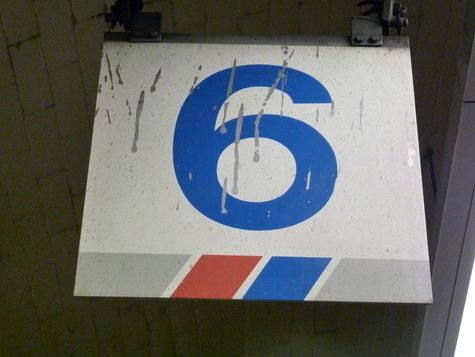 This Great Eastern Line Station still has a NSE 'Click Clack' Clock in place aswell as '8 Car stop' Sign. 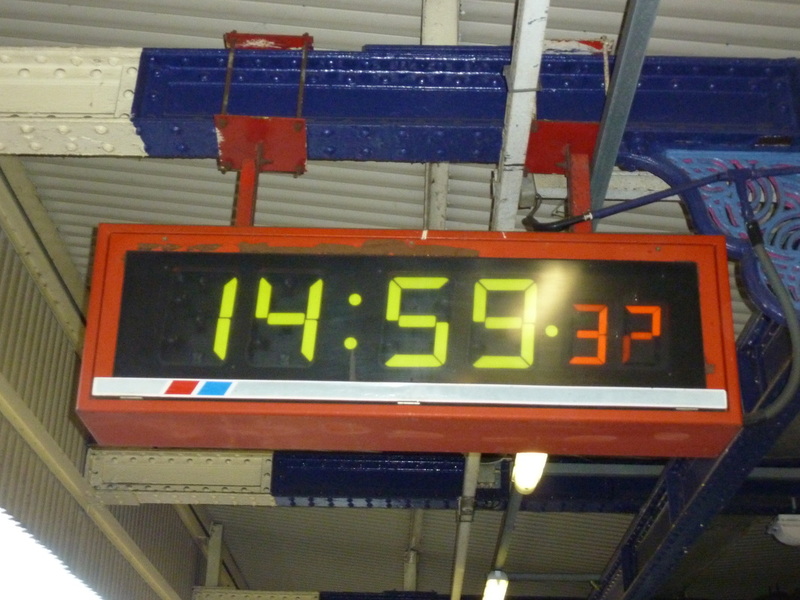 NSE clock at Ilford Station. PHOTO TAKEN: 07 DEC 2013. 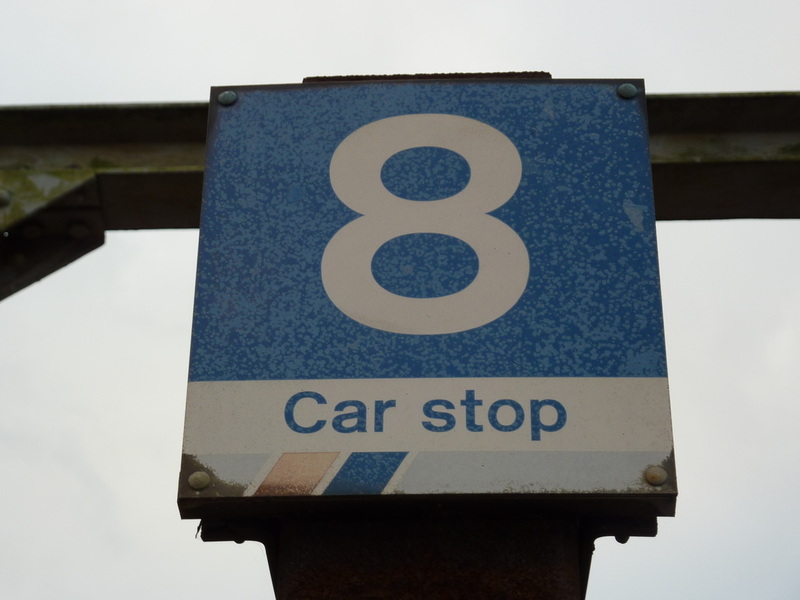 8 Car stop Sign at Ilford Station. PHOTO TAKEN: 07 DEC 2013. 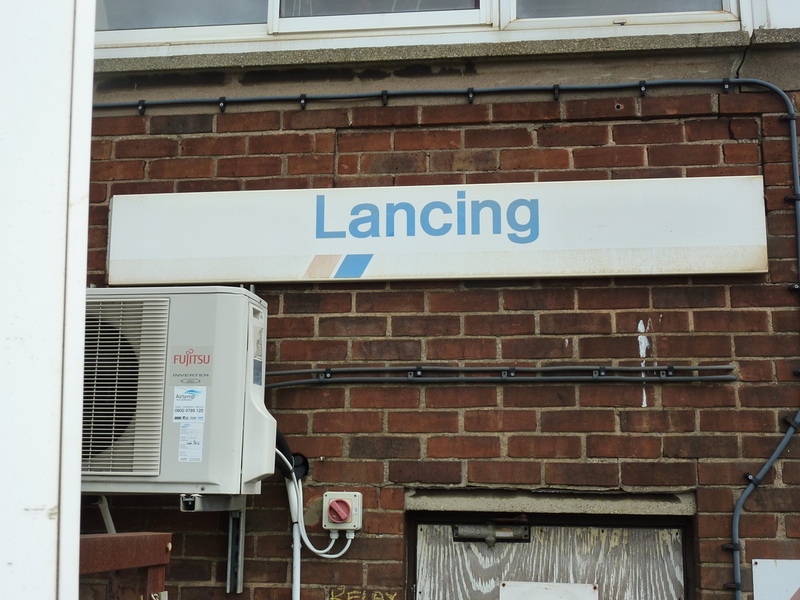 This Buckinghamshire Station still has a NSE branded PERTIS machine in full working order and also still in place are the window grills onthe platform waiting shelters that feature the 'Thames Line' route brand logo that were installed by Network SouthEast in the early 1990's. 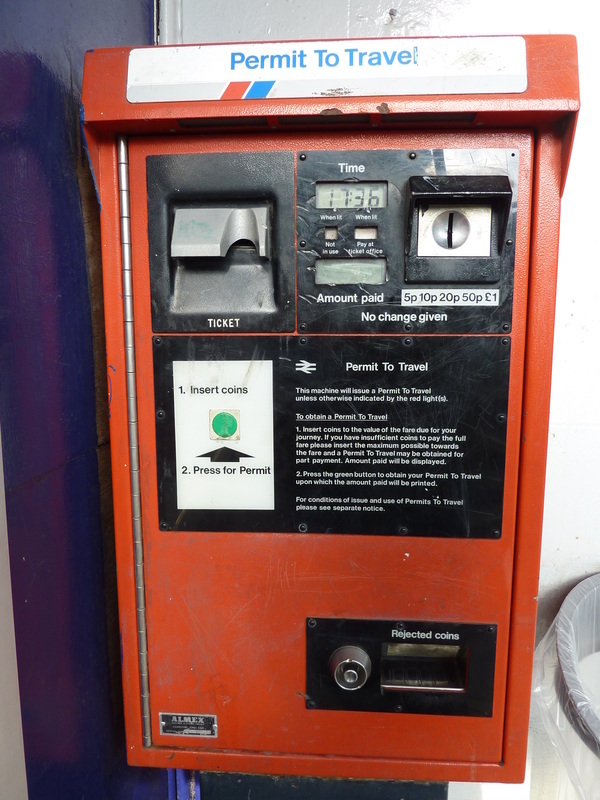 NSE pertis machine at Iver Station. PHOTO TAKEN: 22 AUG 2013. 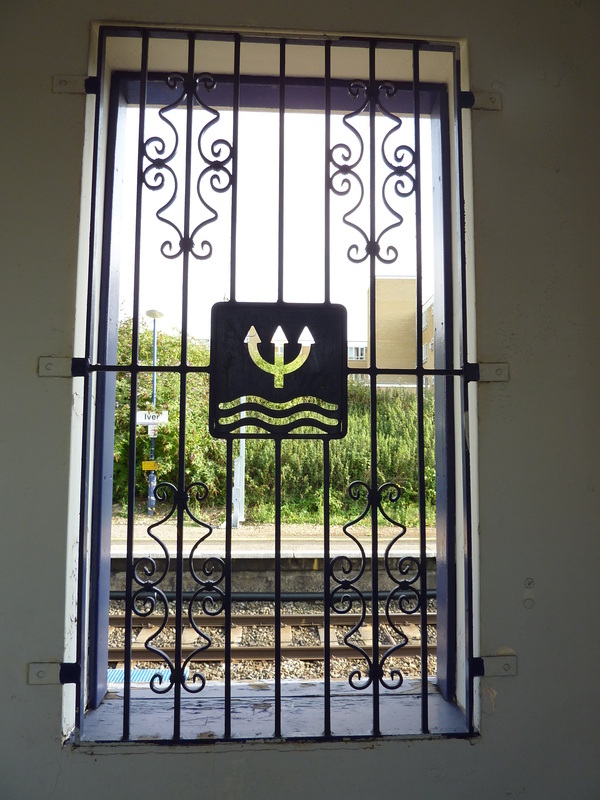 Thames Line window grills at Iver Station. PHOTO TAKEN: 22 AUG 2013. 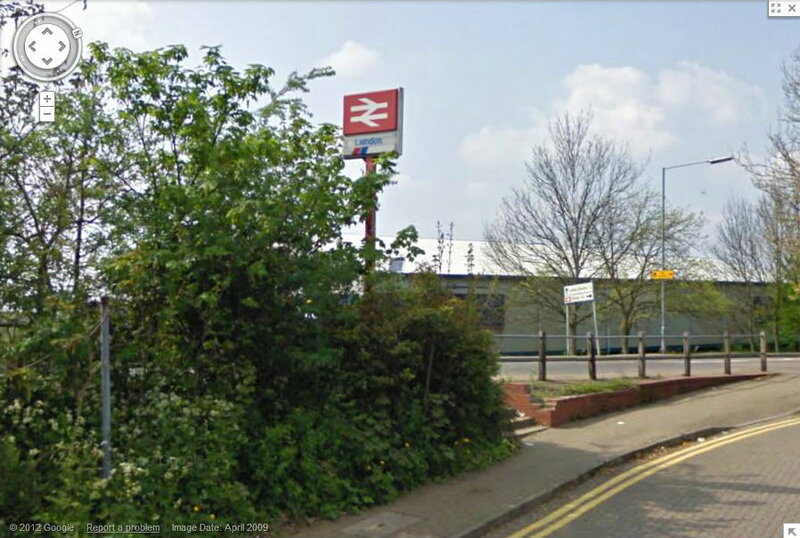 'Laindon Station' sign, captured on 'Google Streetview' in APR 2009. This 'Sussex Coast' Signal Box is still proudly displaying an NSE name plate installed during the era !! 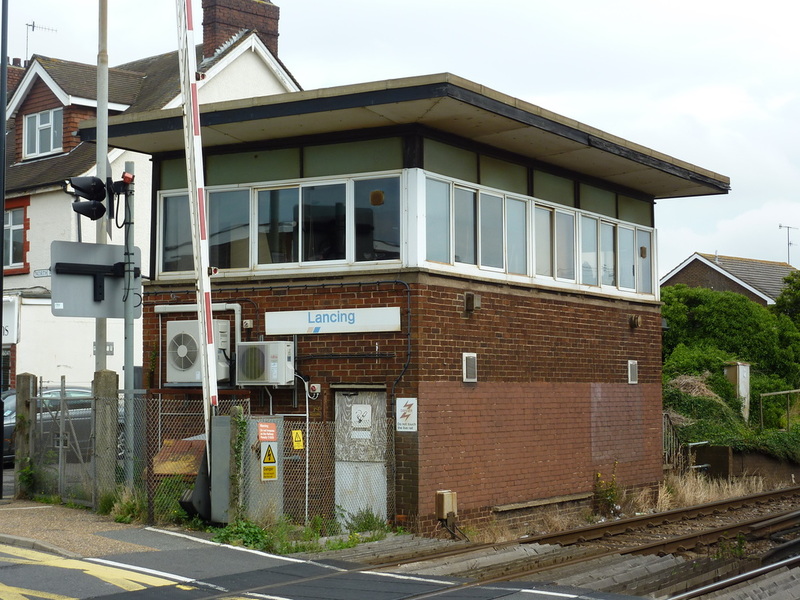 Lancing Signal Box. PHOTO TAKEN: 22 AUG 2013. ​for this Essex Station in 2012. 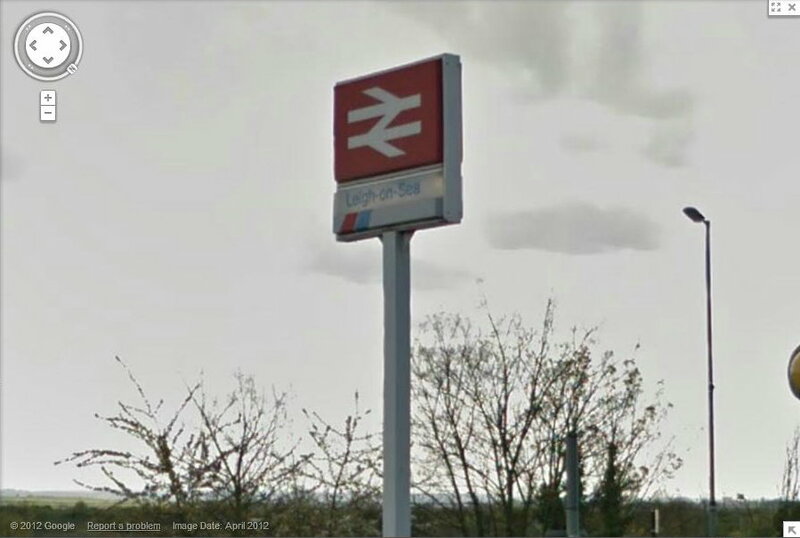 'Leigh-on-Sea Station' sign, captured on 'Google Streetview' in APR 2012. 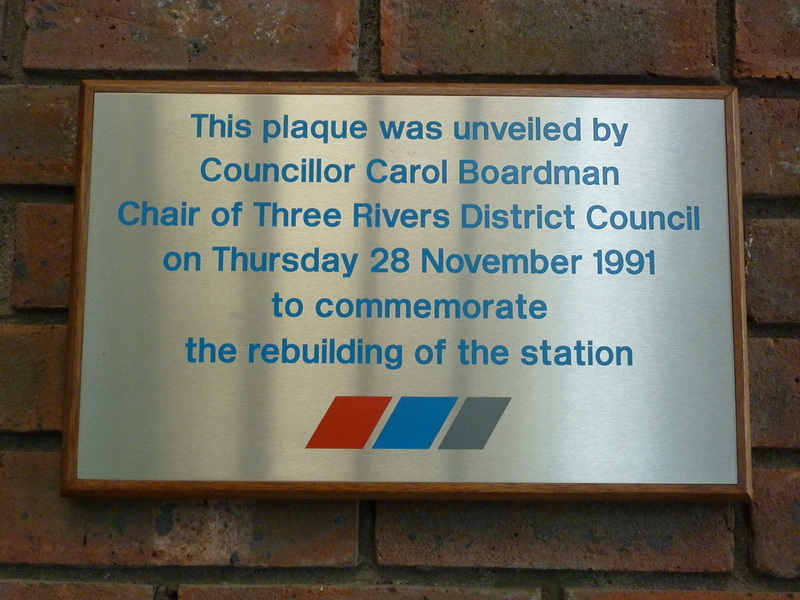 This Station was rebuilt in 1989 and this plaque is displayed in the booking hall to mark this. Kew Gardens Station rebuilding plaque. PHOTO TAKEN: 23 AUG 2013. 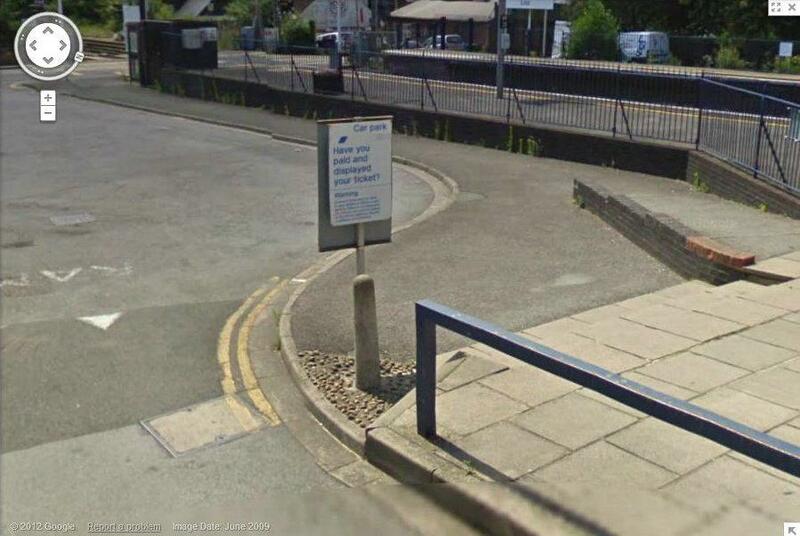 ​for this Hampshire Station in 2009. 'Liss Station' car park sign, captured on 'Google Streetview' in JUN 2009. Despite the rebuilding and refurbishment of the this great station, Platform 9 still retains an NSE clock, although now with a blue surround. 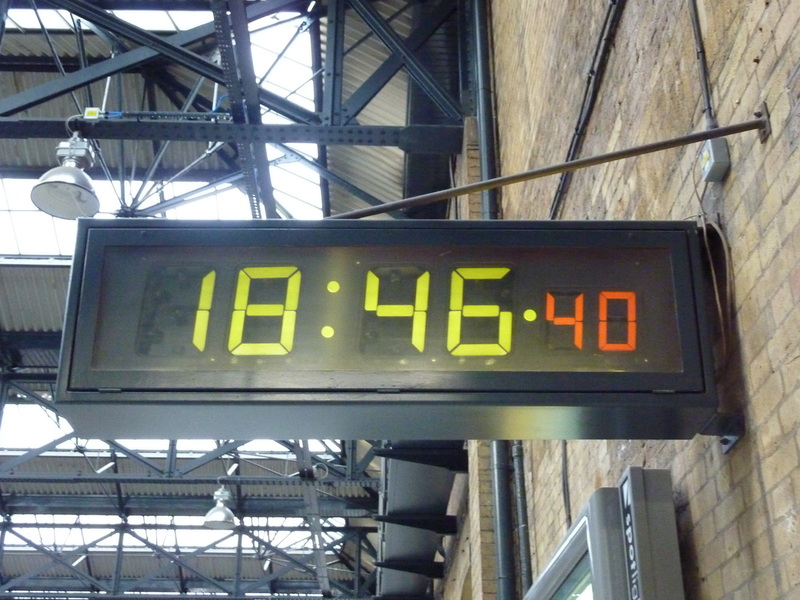 NSE clock at King's Cross station. PHOTO TAKEN: 22 AUG 2014. NSE doors are still present at this location. 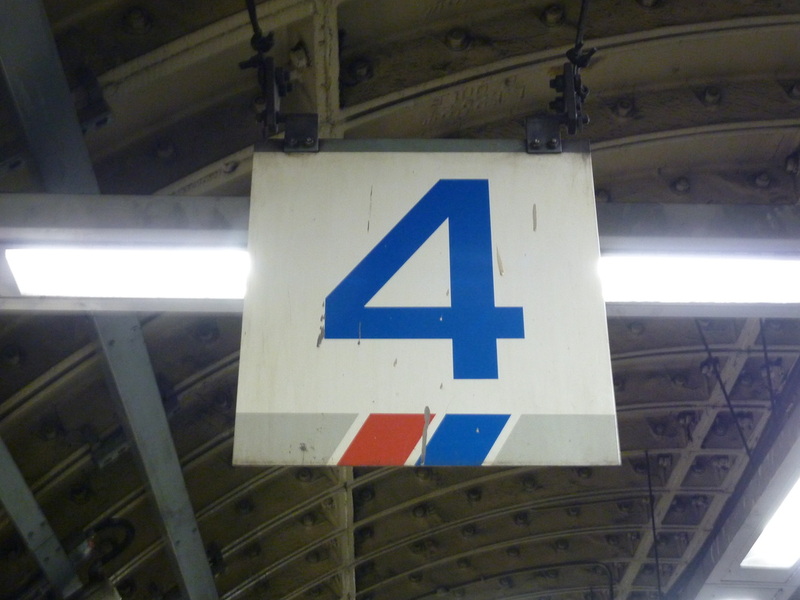 This station is now an exit only from the underground. It was previously the entrance/exit for the Thameslink/ King's Cross Midland Station. 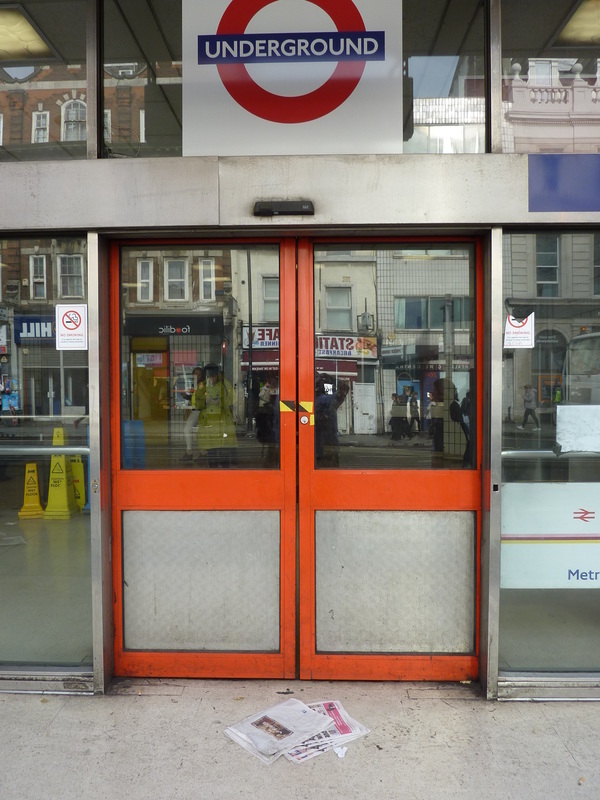 NSE doors at former Kings Cross Thameslink Station. PHOTO TAKEN: 28 OCT 2015. This Hertfordshire Station buildings were rebuilt by Network SouthEast. 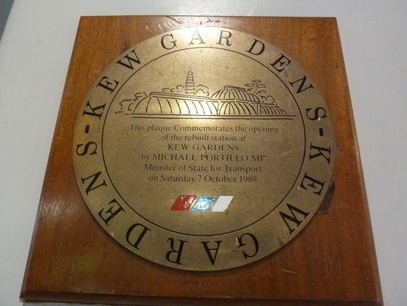 ​With this plaque in place to mark this event. Kings Langley Station rebuilding plaque. PHOTO TAKEN: 24 AUG 2014.